$1 for a slice of pizza? Yes please. Food, booze, and even accommodation is surprisingly affordable in Budapest, mostly thanks to a favourable exchange rate with the Hungarian Forint. You can have a really nice two-course meal with a glass of wine and barely pay $20… Now if that isn’t a reason to treat yourself, I don’t know what is! Politics normally conjure up rather dull associations. Budapest’s parliament building is quite the exception. After sun down, it is most mesmerizing when viewed from the water. 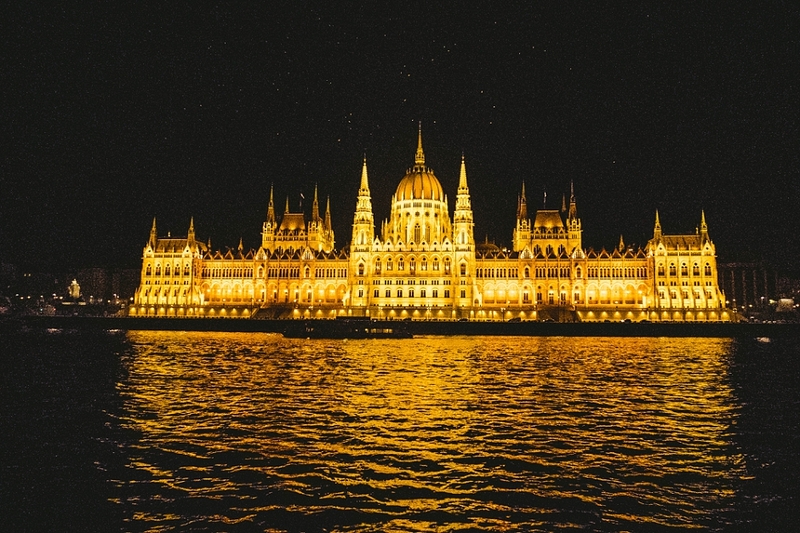 This is just one of the MANY dazzling structures that will delight your eyes if you take a cruise down the Danube River. It may not be all that known internationally, but Budapest’s music festival scene is booming. 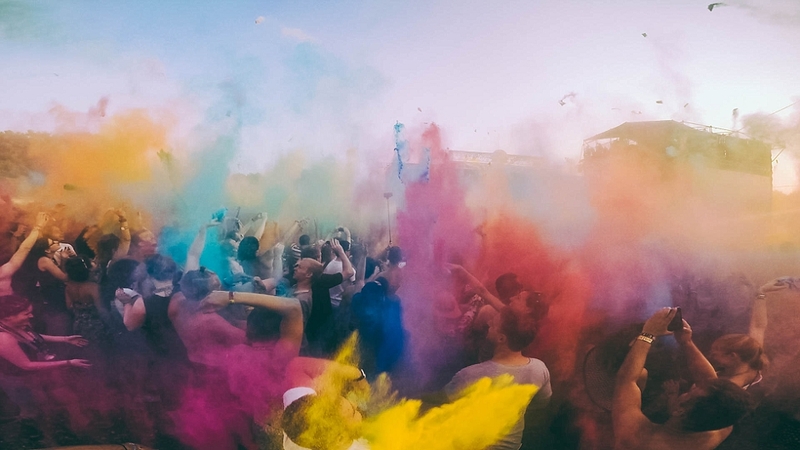 Throughout summer, the city comes alive as it hosts the world’s 7th largest music festival – Sziget. With over 400,000 attendees and some of the biggest acts around the world, attending this week-long festival be one of the best decisions of your life. 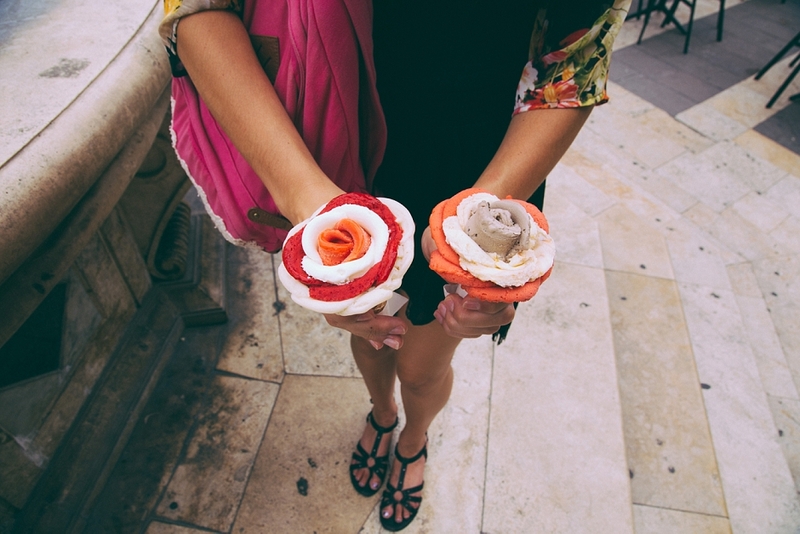 Combining two of my favourite things in the world (flowers and gelato) can only end well. Gelarto Rosa is located right next to St Stephen’s Basilica, and its easy to spot because you’ll ALWAYS find a line spilling out the door. Once you’ve tasted the salted caramel or white chocolate lavender flavors, you’ll understand the crowds. It’s not called the City of Spas for no reason. With an abundance of natural warm spring waters underneath the city, there is no shortage of bathing locations to choose from in Budapest! For many centuries, thermal baths have been a big part of life for Hungarians. Nowadays, there is a little something for everyone. You can visit traditional Turkish baths dating back to the 16th and 17th century or stay at health spa resorts to make the most of the thermal water’s healing qualities. For something a little less civilized, join in on one of the massive spa parties that are regularly held in summer. Don’t let the word ‘spa’ deceive you… There isn’t anything remotely subdued about these kinds of parties. Budapest has become rather renowned for its unique nightlife, and more specifically, the phenomenon of the “ruin pubs” that have popped up all over the city. About a decade ago, many abandoned buildings in the city were taken over and converted in to distinct nightlife spots. Now, these places have become exceptionally popular with tourists. Each ruin pub overflows with character, thanks to artistic creativity transforming derelict spaces and objects in to works (and rooms) of art. Szimpla Kert is by far the most popular of the lot, and is best explored during daylight hours… At night, it can be very hard to find a place to sit! Yes, you can now go enjoy your decaf soy cappuccino surrounded by cute creatures that meow. 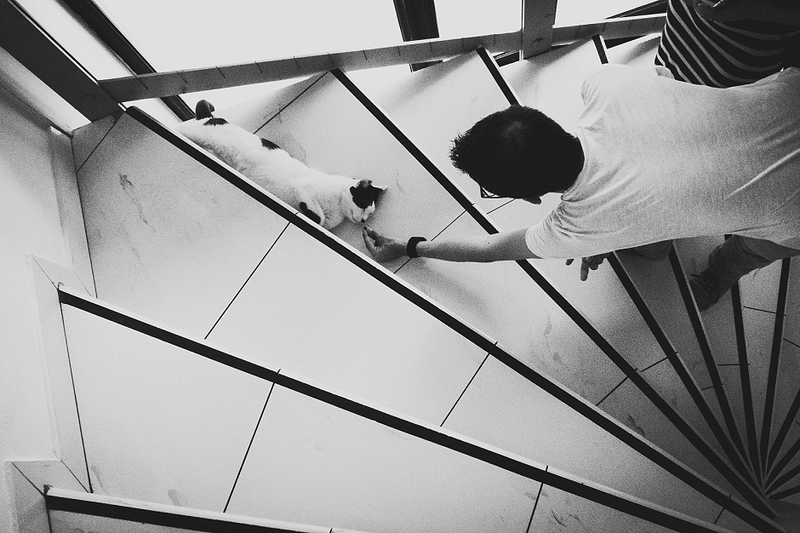 You can literally hang all day with a bunch of kitties. If you happen to be a cat person, I wouldn’t recommend visiting the so called Cat Café as you’ll probably never want to leave. Now wouldn’t that be a catastrophe? Budapest’s creative scene is thriving, and this even reflects in the type of stores you find around the place. It’s more common to find vintage and thrift stores then big department stores, so you’ll have no issues unleashing your inner hipster and scoring some timeless bargains. 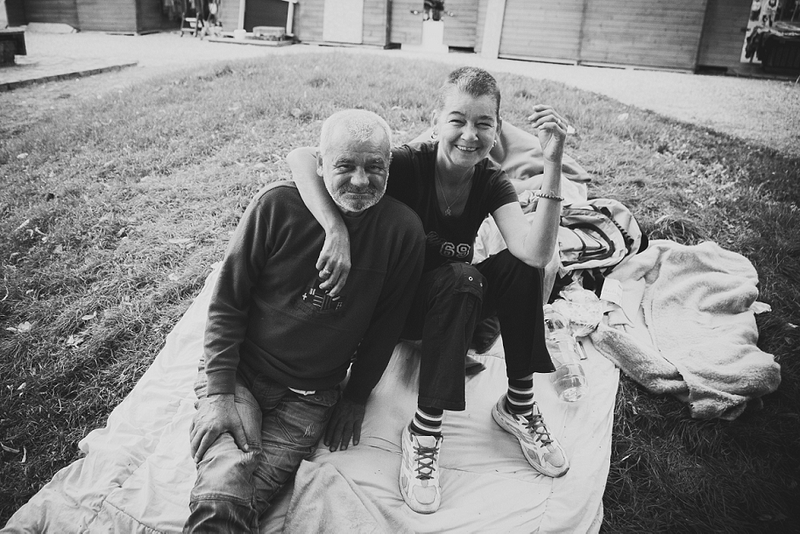 Take a moment out of your touristy schedule to really get to know some of the Hungarian locals. Most Hungarians living in Budapest will speak some English, particularly the younger generation. The best way to get to know a culture is always through its people, so invest some time in chatting to the shop-keepers or staff at restaurants. 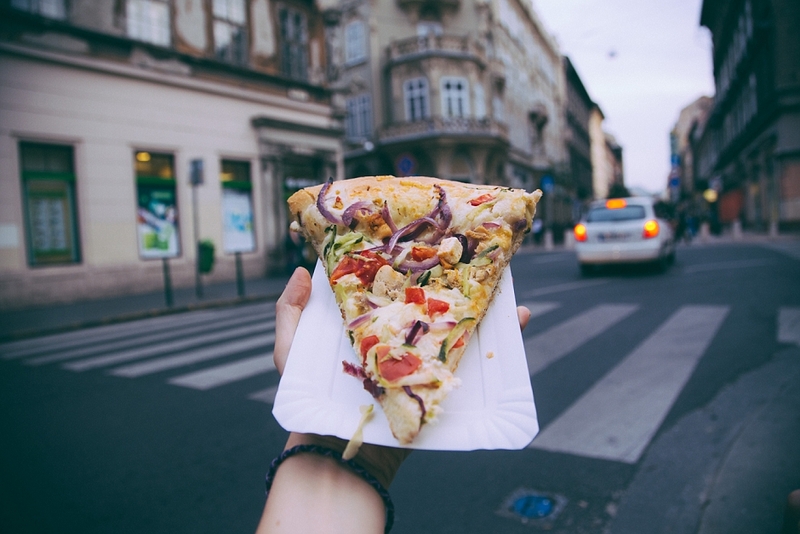 Plus, this is the best way to get the insider knowledge on Budapest. 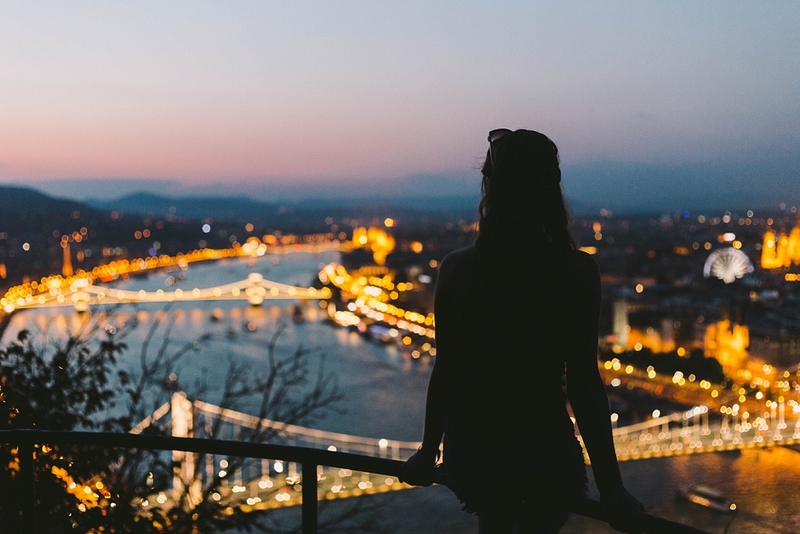 Climb to the top of the Citadella and drink in the ultimate view over Budapest. Does it get much better than this? I think I’ve said enough. Now you’ve just got to go and fall in love with this city for yourself. Always knew I'd love Budapest! Love your narrative and the pictures are surreal! It's called Szimpla Kert, there is a link to it in the article,but I also recommend Instant too, it's a ruin pub also. love your post! I'll visit Budapest in two months, can't wait! I visited Budapest for a couple of years ago and really fell in love with the city. Would really like to go back there sometime. I've been to Budapest three times, but all of those three times were during the winter. Next time I would like to go to during the late spring/ early summer so I can experience the outdoor life as well as the outdoor baths. 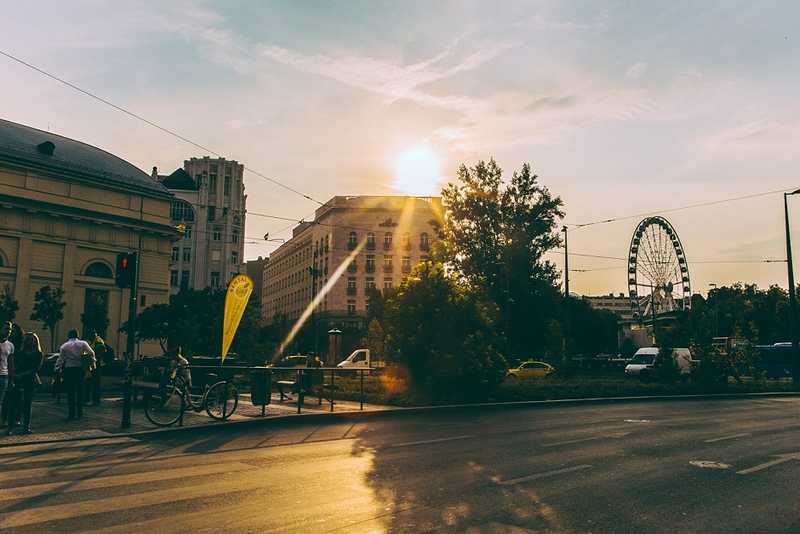 After reading this list, Budapest is high on my list of places to visit now! That view from the top of the Citadella is amazing! Thanks for sharing! On behalf of Budapest patriots. What fantastic photos! I can't wait to explore Budapest! You are right. Budapest is one of the prettiest cities in the world. I have been there once and I loved it. Great post and great pictures thank you for sharing. I love Budapest. I live only 250km from this amazing city and I have to go there soon for a day trip! You're absolutely right on - I love Budapest, it's got such a charm to it.! Spent a week in Budapest during a 3 month holiday in Europe. I couldn't agree more about the food, not only are the prices insanely cheap it's some of the most eclectic anywhere in the world. The parliament building is also spectacular. Two things to keep in mind are 1) the city is really two cities [Buda & Pest] and the closer to the Danube you are staying the nicer/cleaner it is...this especially applies to Pest which can be, like any big city, dirty and sketchy (though the apartment unit i stayed in, the 'Agape Apartments' on Akacfa St was beautiful - like an Ikea showroom) and 2) English is NOT prevalent, particularly in Pest, so definitely learn basic phrases...which goes without saying being a guest in someone else's country. I would disagree on the friendliness factor in that I found many of my encounters to be rather negative with the majority of the exceptions as I approached establishments near the river. I couldn´t agree more. I have been there for just two days a few years ago and I couldn´t believe how great and beautiful the city is. The buildings, the food, the landscapes, the cats, everything is so insanely beautiful! Great write up - definitely something for everyone in Budapest!!! I have been there twice now, the first for leisure and the second for business and loved it both times! 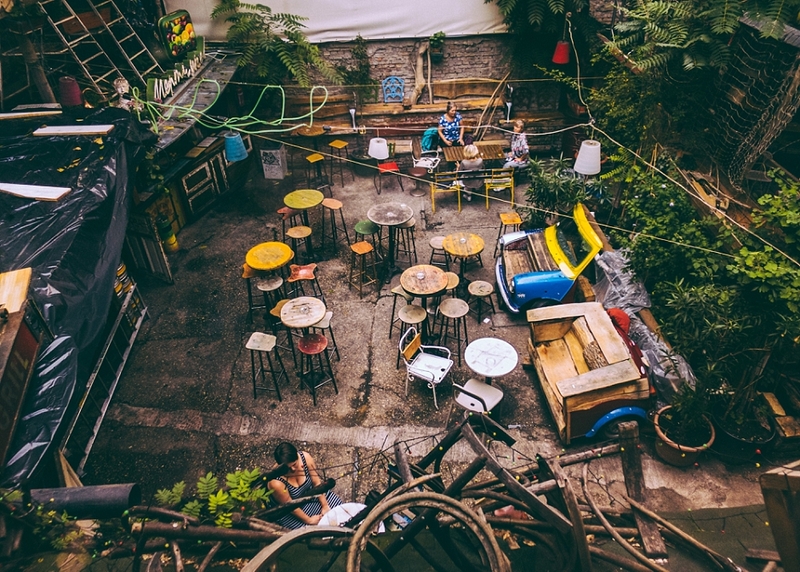 Szimpla Kert and the rest of the ruined pubs are simply a must, even if you only pop in for 1-2 drinks to ensure you make the most of the next day! I can't wait to visit Budapest, I've heard so many great things! As a patriot, I am always happy to hear when someone else says Budapest is their favorite city - and I hear it more and more often! I have lived in some of the most popular cities in Europe but this darling is still my favorite, and not only because I am Hungarian. I lived in BP for 10 years!!!! I still keep an apartment there on the Andrássy. The cafes, nightlife and the baths are unbeatable, Not to mention the magic of Lake Balaton. It is the largest lake in Central Europe. Been to Budapest 4 times, staying several weeks, and loved it. View below from the Fort above is absolutely gorgeous! But walk around the streets of the Fort (Var = rhymes Bar) and see the lovely facades on the homes. - Also the huge fort at Eger is a must - and Miskolc with the main street a pedestrian only thoroughfare - and the huge cyclorama at Opusztaszer (depicting the Magyar tribes entrance into the land) with the museum of old buildings (like Dearborn Village) - and, yes, Lake Balaton with the ferry ride to walk around lovely Tihany, and also the gracious mansion at Keszthely. Jes' gotta luv it! Hello I have just come home from budapest 3 days ago. I stayed in budapest for 5 days at the Sofitel chain bridge and had the most wonderful time here. It was the highlight of my 5 week European trip. I simply loved the castle district. Yes the food is wonderful and enjoyed eating at the central market hall. Parliament is certainly one of the most spectacular landmarks in all of Europe. Budapest certainly shines like a fairytale city at night. Peter from Australia. Love Budapest - spot on that is has some of the coolest bars. I'd also add that the Zoo is fantastic, especially for having so many sloths! Wooow. Looking forward to my trip next week. U made me think od extending my visit. 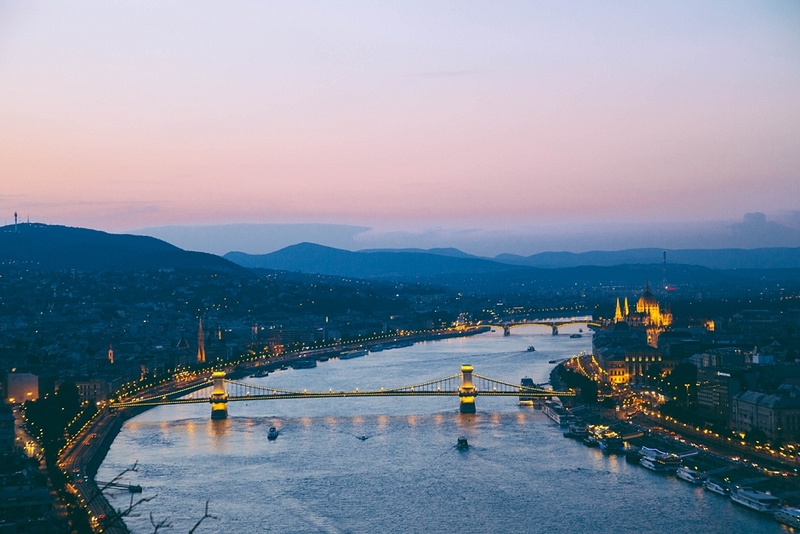 I've never really thought about Budapest as a travel destination, but it looks incredible! Great article! It's already on my bucket list. I am in Dubai as of the moment. Next stop is Prague, Kiev then Budapest... Inspired by your post of course. Wow, this is my city! I love it! Those photos are so amazing! 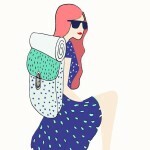 Nice site and love your post!!! Budapest is an awesome city to explore! And the food is delicious!!! The Parliament Building is amazing. It seems like it sparkles. Wow! Such great photos.